Rachel Weisz's parents were both refugees from anti-semitic persecution in central Europe. Her mother is a psychoanalyst, and her father developed improved respirators. 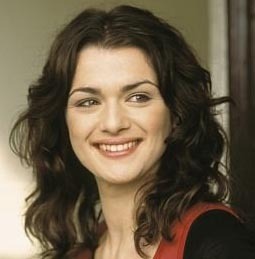 Weisz began working as a model at the age of 13, and at 14 was offered a role in Bruce Beresford's King David, starring Richard Gere. Her mother loved the idea, but her father said no. Within a year, her parents were separated. Weisz was expelled from several schools "for disruptive behavior", but was able to attend Cambridge, where she says she was "a radical feminist". She co-founded the Talking Tongues Theater, and wrote and starred in its production of Slight Possession. She won an award as best newcomer on the London stage and appeared in several forgettable British TV movies. Her film debut came with one line in Death Machine, a schlocky Brad Dourif horror movie. Her popular films since then include Chain Reaction, The Mummy, About A Boy, and The Constant Gardener.